Do You Have To Be Right To Not be Treated Wrong? Richard Sherman is $7875.00 away from putting this week’s scream-obsessed circus behind him. The Seattle Seahawks’ cornerback has taken the week to turn an outpouring of criticism over a live on-camera interview into an opportunity to school us in stereotypes. Now he just needs to pay his league fine and go on to play in the league’s biggest event where he will have the chance to respond on the field. In case you missed it, at the conclusion of the Seahawks Forty-niners playoff game, Erin Andrews stopped Sherman for a little post-game chit chat. Sherman delivered an earsplitting takedown of his rival on the field. Within hours the Twitterverse lit up with criticism of Sherman’s “outburst”, and TV followed suit with a days worth of attention devoted to Sherman’s interview that used the word thug 625 times, according to Deadspin. It didn’t take long for Sherman, not known for being quiet, to shoot back with some commentary of his own. Instead of delivering a dose of profanity, Sherman wrangled the criticism and elevated the conversation. While he brushed off any implication that the criticism may destroy him, he did point out that he was bothered by the use of the word thug as a code word for the infamous n-word. He correctly reminded us that in American parlance, when they call him a thug, they don’t mean that he is lurking around with brass knuckles, but that he is one in a long line of totally expected black brutes. Is he right? Sure. You don’t need a word that starts with N to ring the bell of racism against black men. What other choices do you have? Try thug, brute, street, gangster, threat, hood, ape, pimp, dropout and a host of other names that trace a line decade by decade back through American history. These words come and go like fashion, but the pattern of racism persists. 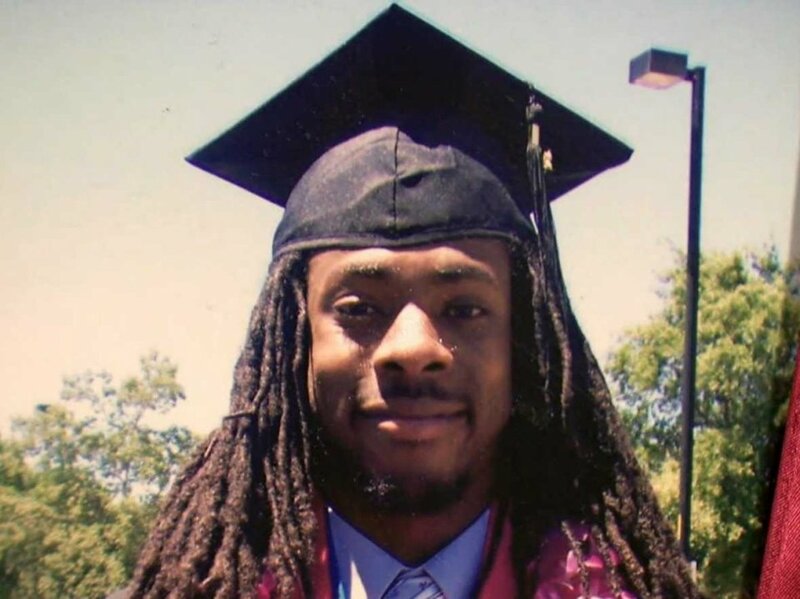 Richard Sherman, Ivy League graduate has proved that he is not these things. He’s chosen to use this moment to draw our attention to the use of code words in common conversation to link black men who are public figures to long standing racist historical misrepresentations. Sooo excellent. This time it turns out that Sherman was the wrong dude to mess with. But here’s the thing. You shouldn’t have to be the right person to not be treated the wrong way. Whether you are a Stanford graduate or just a guy on the grind, no man deserves to be defined by stereotypes.